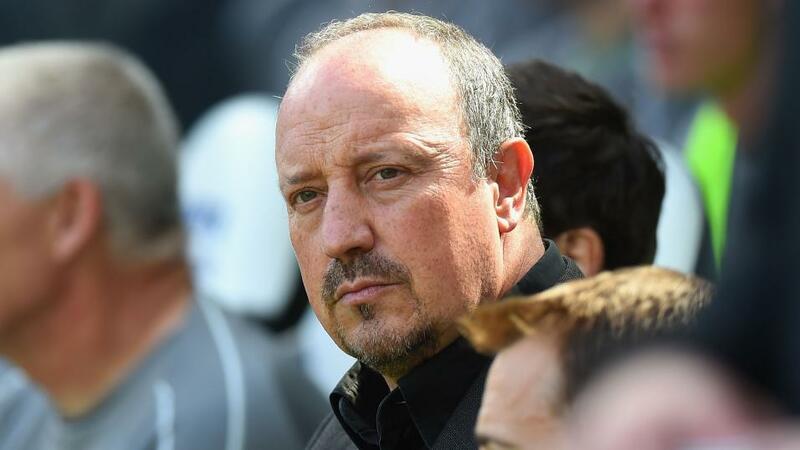 Will Rafa Benitez have the answers when Newcastle host Everton? A win for Newcastle will see them move to within three points of Everton. Opta rates their chances. "January signing Miguel Almiron is creating three chances per 90 minutes on average for his teammates, more than any other Newcastle player." Over 2.5 goals is [2.48]. Newcastle have won just one of their last 12 Premier League meetings with Everton (D2 L9), winning 3-2 at St James' Park in December 2014. The draw is [3.25]. Everton have won four of their last five away Premier League games against Newcastle (L1), including the last two in a row. They've never won three consecutively away against the Magpies in the top-flight. An Everton win is [2.84]. No Premier League fixture has seen more penalty goals than Newcastle vs Everton (18). Indeed, of the 52 fixtures in the competition to have seen at least 100 goals, this one has seen the highest percentage scored from the spot (14.2% - 18/127). The odds of there being a penalty in the match are [4.5]. Newcastle have won their last four Premier League home games, by an aggregate score of 9-1. They've not won more consecutively at St James' Park since a run of five between April-August 2006. Newcastle are [2.86] to claim victory. Everton have kept consecutive clean sheets in the Premier League (W1 D1). They last kept three in a row in the competition in January 2017. Under 2.5 goals is [1.7]. Everton have won two of their last three away league games (L1), as many as they had in their previous 12 (W2 D3 L7). They've not won consecutive league games on the road since September 2016. Everton are [1.93] in the Draw No Bet market. Newcastle boss Rafael Benitez has failed to win his last three meetings with Everton in the Premier League (D1 L2). He'd only failed to win four of his first 14 against the Toffees in the competition (W10 D2 L2). Everton are [1.48] to avoid defeat Double Chance. Everton's Theo Walcott has been involved in more Premier League goals against Newcastle than he has against any other opponent in the competition (5 goals, 5 assists). Walcott is [7.0] to score. Richarlison's 10 Premier League goals this season have been worth 11 points to Everton - only Pierre-Emerick Aubameyang's strikes have been more valuable for his team (14). Richarlison is [3.3] to add to his tally. January signing Miguel Almiron is creating three chances per 90 minutes on average for his teammates, more than any other Newcastle player. Over 2.5 goals is [2.48].